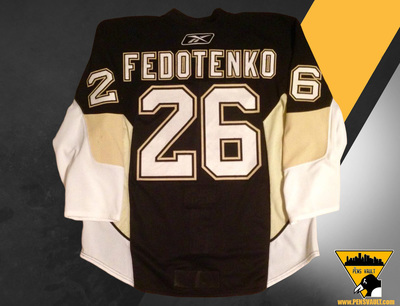 Fedotenko went undrafted and first entered the NHL after being signed by the Philadelphia Flyers in 1999. 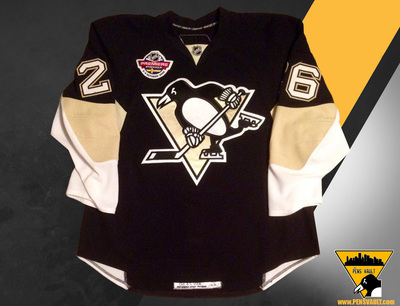 Fedotenko signed his third consecutive one-year contract, a $2.25 million deal with Pittsburgh Penguins in July 2008. Ruslan neared career-high totals with 39 points in 67 games. This specialty patched jersey was worn for two games by Penguins forward Ruslan Fedotenko. 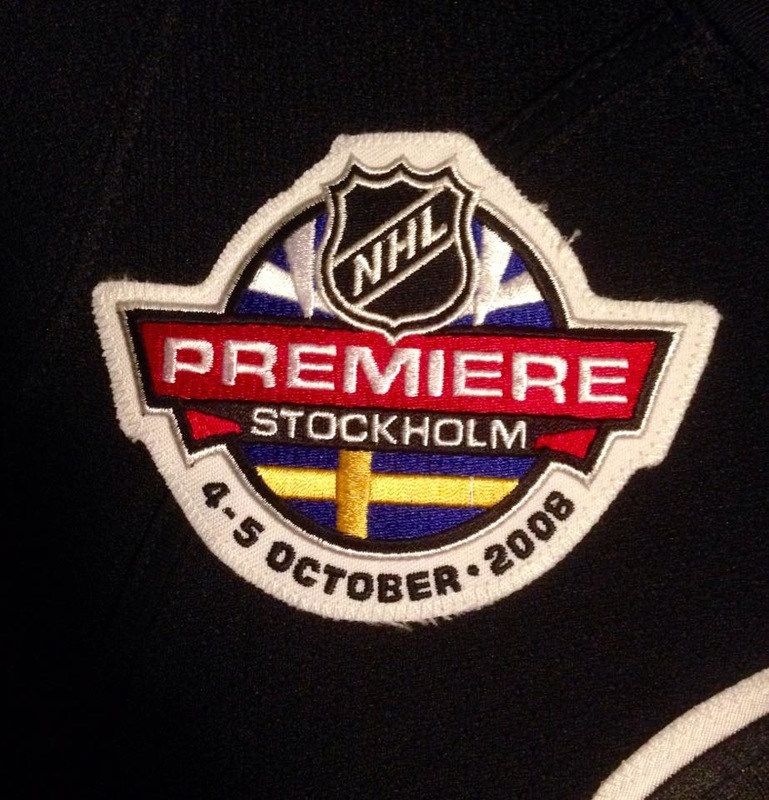 The first occurrence was during the pre-season finale game played in Helsinki Finland on October 2nd, Vs Jokerit. During that game, Fedotenko picked up a goal from a Sidney Crosby pass. 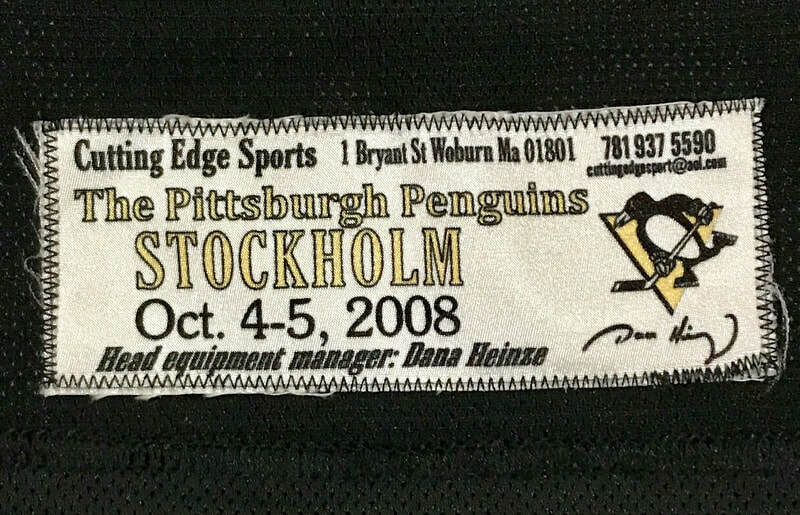 The Pens went on to win that game 4-1. The second time Ruslan wore this jersey was during the 2nd game of the NHL Premiere played on October 5th 2008. 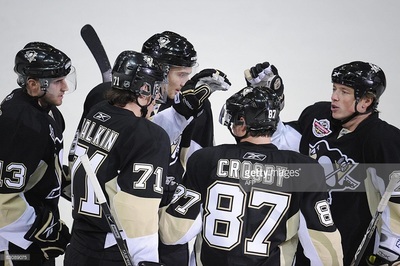 The Penguins played host to the Ottawa Senators in a 3-1 Loss, just a day after defeating the same Senators squad 4-3 in overtime. 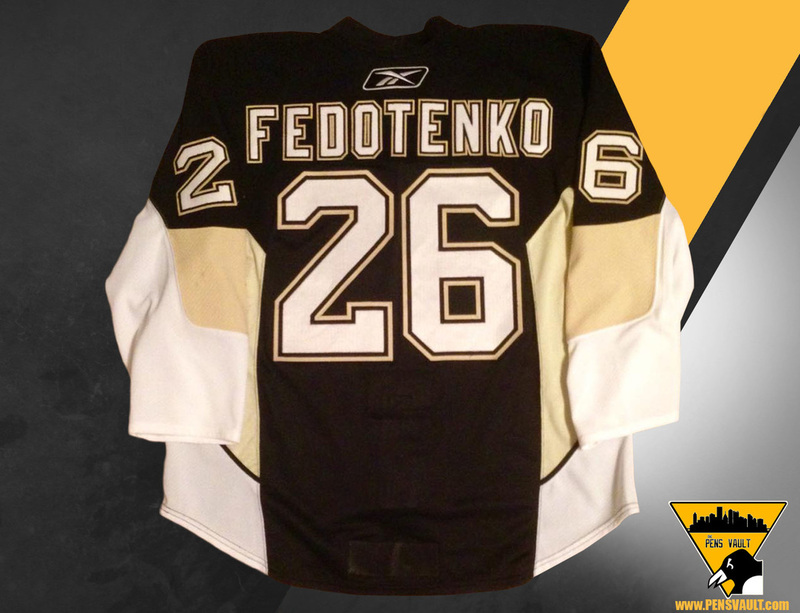 Fedotenko logged just over 20 minutes of playing time, making 2 separate trips to the sin bin. The jersey has a special game tag sewn into the rear hem, as well as the NHL Premiere patch sewn to the chest.